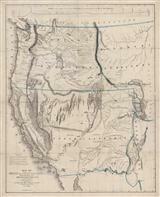 Description: Fascinating early map of the United States two years after the Louisiana Purchase. Description: Remarkable map the Missouri Territory published just after the Louisiana purchase and before the results of the expeditions of Lewis and Clark were published. Coloured. Description: Southwest USA and Mexico. 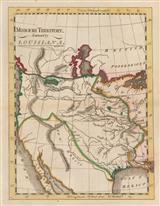 Striking miniature map of the Spanish possession in North America. Original colour. Description: One of the first maps of Mexico published after Mexican Independence in 1821. Large inset of Central America. Original hand-colour. Description: Antique map in original colour with a very peculiar border configuration between Mexico and the USA. Description: North-West Coast and adjacent Territories. Inset of North Pacific Ocean. Detailed map. 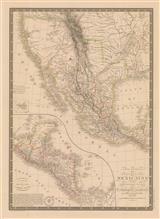 Description: Map of Mexico, and the South/Southwestern United States. Shows Texas as a Republic, only a year after it declared independence. Original colour. 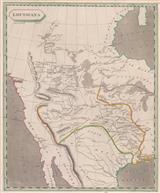 Description: An important map of the South-Western United States, Texas (here as a Republic) and Mexico with inset map of Mexico City and its environs. Original colour. Description: Southwest of the USA. Showing the Republic of Texas. Description: Interesting small map of the Southwestern United states showing the newly determined borders of California and Texas as well as the recently established Territories of New Mexico and Utah. Original hand colour.